The Apollo Lunar Module 2 in the Smithsonian Air and Space Museum, Washington DC. 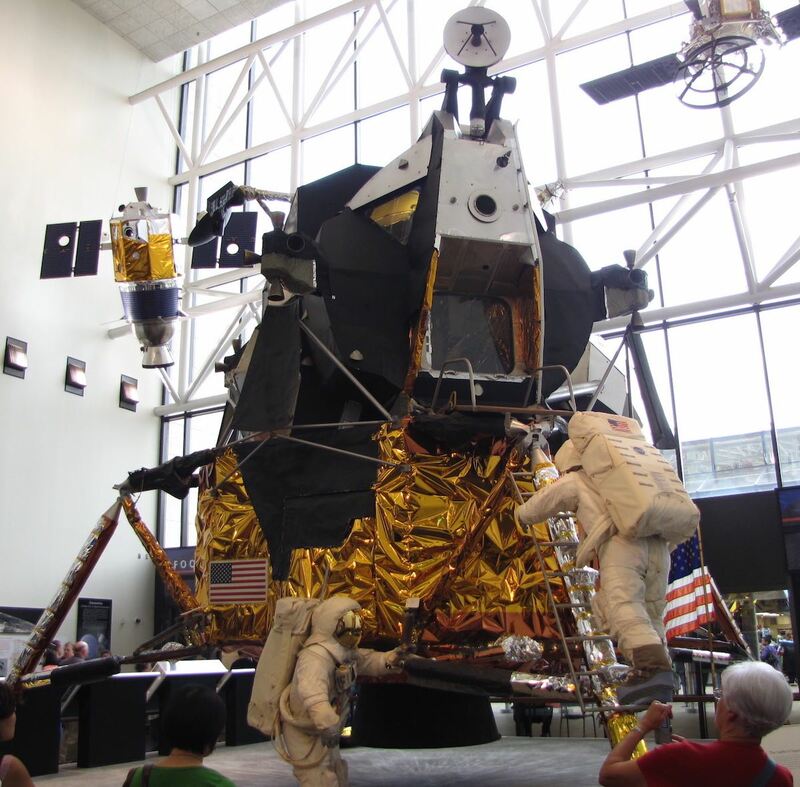 The Lunar Module was a two-stage vehicle designed to ferry astronauts from lunar orbit to the moon's surface and back. Apollo Lunar Module 2 was built to be used for a second test on the moon. But the first test went so well NASA decided they didn't need a second test. Photos copyright John Hunter. Apollo Lunar Module 2 is available for use as creative commons attribution. Only photos noted as available as creative commons attribution may be used without permission (in the manner described only), other photos may not be used without permission.